George Wiley was born in New Jersey in 1931 and raised in Warwick, Rhode Island. Wiley earned his undergraduate degree at the University of Rhode Island in 1953 and his Ph.D. in chemistry at Cornell in 1957. Afterwards he accepted a post-doctoral position at the University of California, Los Angeles. Wiley taught at the University of California, Berkeley and at Syracuse University. At Syracuse, he founded the local Congress of Racial Equality (CORE) chapter, fighting for the integration of public schools and equal opportunities in housing and employment. In 1964 Wiley left academia to work full time with CORE as the associate national director, second in command to national director James Farmer. After an unsuccessful attempt to become the national director after Farmer, he left CORE and created his own group called the Poverty/Rights Action Center (P/RAC) in Washington, D.C. Under the influence of two Columbia University School of Social Work professors, Frances Fox Piven and Richard Cloward, Wiley sought to promote racial justice by providing economic opportunities for the poor. In June 1966, he organized several demonstrations that led to the formation of the National Welfare Rights Organization (NWRO). While struggles for welfare rights started earlier, Wiley brought together local struggles and transformed them into a national movement. At its peak in 1969, the NWRO had as many as 25,000 members, with thousands more joining in the organization’s protests. Wiley and the national office, whose staff mainly was composed of middle-class males, came under criticism as mostly black female local welfare leaders demanded that they should control the organization and that the non-recipients should play only assistant roles. 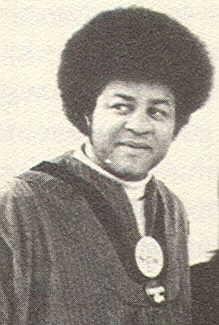 As a result, Wiley resigned in late 1972, and started a new group called the Movement for Economic Justice. In order to broaden the base of the welfare rights struggle, he tried to create a coalition of working poor, senior citizens, and poor people of color. In the middle of his attempts to start a new project, Wiley died in a boating accident in August 1973. Wiley’s legacy, however, lived on as hundreds of grassroots organizations in Boston, Chicago, Little Rock, and other localities continued to fight for economic justice for the poor.